Perry "the poster man" Giguere was the go-to guy for many organizations and promoters who needed to put up posters in shops and cafes. Over the course of his career he kept copies of those posters until they swelled to a rare collection of about 150,000. 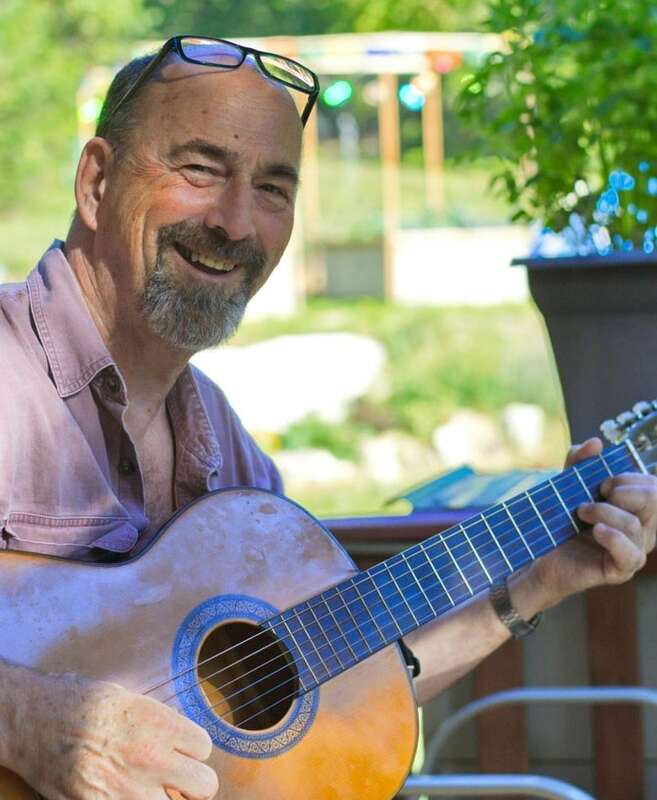 Ask anyone about Perry Giguere and they'll tell you he was an easy-going, gentle and kind-hearted man who loved the arts and was known to give great hugs. Everyone also agrees his real legacy will be quite tangible: a rare collection of tens of thousands of Vancouver arts and protest posters he collected over a span of about 40 years. Giguere died in June 2018 after a two-month battle with ALS. He was 67. He leaves behind his two daughters, Emilie, 31, and Jessie Giguere, 29. Perry "the poster man" Giguere was the go-to guy for many organizations and promoters who needed to put up posters in shops and cafes around the city. Over the course of his career, he kept copies of those posters until they swelled to a collection of about 150,000 by 2016. They now have a home at Simon Fraser University's library, where archivist Melanie Hardbattle is working to preserve them. "Whether he knew it or not, he was doing a really big service to the history of Vancouver by preserving these posters," Hardbattle said. Hardbattle was one of about 200 people at Vancouver's WISE Hall on a snowy Sunday afternoon to commemorate Giguerre at a celebration of life. Friends of Giguere's sang on stage, and others shared memories of growing up with him in Montreal. Positioned on the table next to the Cornish pasties, cheesecakes and pies were many of the posters Giguere collected over the years — a testament to his life's work. At SFU, Giguere's collection has been whittled down to about 35,000 posters. Hardbattle is working to digitize about 1,200 of them as part of an interactive project that she aims to have available by April. She says dozens of students have visited the rare collection of posters and researchers from all over the world have inquired about it. The collection captures a valuable record of bands, venues and groups in the city — some that no longer exist. Giguere grew up in Montreal's Notre-Dame-de-Grâce neighbourhood. His daughter, Emilie Giguere, says he moved to Vancouver in the 1970s. Emilie says after he moved, her father trained to become a mime. While performing in a show, he offered to put up a few posters. Before long, people found out and started offering to pay him, per poster, to put them up. "It's not like he chose to go into postering," she said. "It just kind of happened." Emilie remembers Giguere as a loving, active dad who was always up for a game of tag or a trip to the coffee shop for a hot chocolate. Giguere always loved posters, Emilie says. He enjoyed their aesthetics and design. As a teenager, Emilie was befuddled by her dad's poster collection. "We just thought it was boring," she said. "It wasn't until I was older but I started to realize the significance that his collection had." 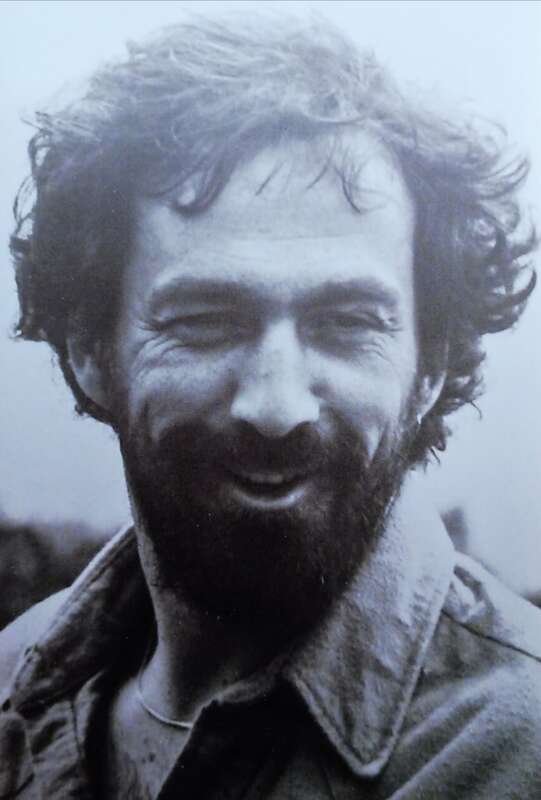 Kevin Dale McKeown, who worked in Vancouver's arts community as a publicist and promoter for about 30 years, says Giguere was known as the guy to go to if you needed posters put up. "Perry developed relationships with the libraries, with the corner stores or community centres, with all these places," McKeown said. 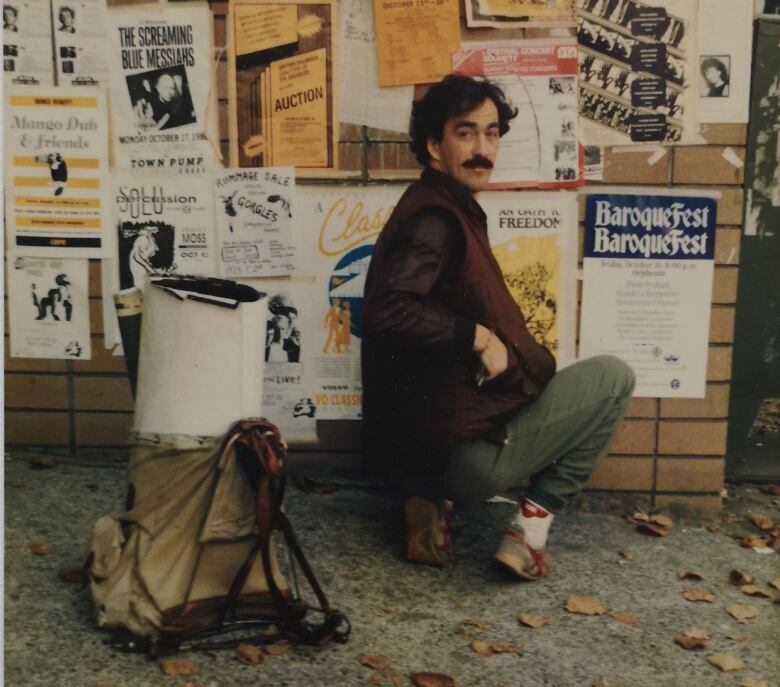 "He knew where the posters would get the best duration and exposure." SFU's Hardbattle says Giguere had a story behind many of the posters she sifted through alongside him. "He was just so knowledgeable about the history of Vancouver and particularly with regards to the art scene and underground movements," she said. It came as a shock to many when Giguere was diagnosed with ALS in April 2018. Until then, he had been full of his characteristic joy and vigour. Giguere died two months later, on June 17 — Father's Day. Emilie Giguere says the night before he had been in good spirits, joking with friends and family. He died early the next morning, at home. At his celebration of life on Sunday, many people shared stories of a kind-hearted man who loved music and the arts. His poster collection enveloped the room like a warm hug. A previous version of this story referred to Perry Giguere as "the poster guy." He was in fact known as "the poster man."